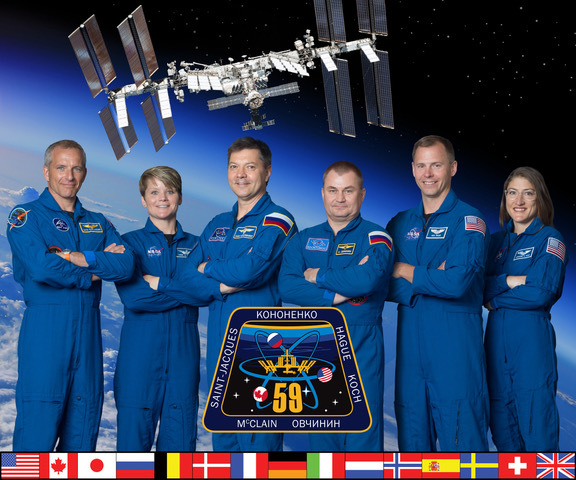 The National Center for Earth and Space Science Education (NCESSE) in partnership with NanoRacks, LLC, announces the selection of 15 microgravity experiments to fly to the International Space Station (ISS) aboard Soyuz 30, scheduled for launch in March 2012. The experiments were selected as part of Mission 1 to ISS, the third flight opportunity provided by America’s Student Spaceflight Experiments Program (SSEP). The first two flight opportunities were on the final flights of Shuttles Endeavour and Atlantis. 5-14 students the opportunity to design and propose real microgravity experiments. A total of 779 student team proposals were received, and a formal 2-step review process in Fall 2011 provided for the selection of 15 flight experiments, which are currently undergoing formal NASA Flight Safety Review. Designed as a keystone Science, Technology, Engineering, and Mathematics (STEM) Education program launched as a U.S. National initiative in June 2010, SSEP engages entire communities. Each participating community is provided all launch services to fly a real microgravity research mini-laboratory in low Earth orbit, which is capable of supporting a single experiment. An experiment design and proposal process across each community, mirroring how professional research is undertaken, allows student teams to design microgravity experiments vying for their community’s reserved mini-lab slot. Additional programming leverages grade K-14 community-wide engagement in STEM education. Selected microgravity flight experiments include studies of antibacterial resistance (grade 10), reproduction of E. coli (grade 7), spider development (grade 5), Vitamin C and parathyroid hormone impact on bone density (grade 5, and grades 8 and 12), and water purification (college sophomores). The first two SSEP flight opportunities on STS-134 and STS-135 saw submission of 997 student team proposals, and 27 SSEP experiments selected and flown, one for each of the 27 communities participating in SSEP on the Space Shuttle. SSEP is the first pre-college STEM (Science, Technology, Engineering, and Math) education program that is both a U.S. national initiative and implemented as an on-orbit commercial space venture. SSEP is enabled through NanoRacks LLC, which is working in partnership with NASA under a Space Act Agreement as part of the utilization of the International Space Station as a National Laboratory.